Infographics are regarded as an effective tool to communicate data. Create infographic with technology theme is super easy with drag-and-drop infographic software. There are plenty of pre-made technology design elements to use. Technology has exerted enormous impact on our society. It has changed our daily life from how we run business to how we relax. The technology industry is featured of moving at very high speed hence a great deal of data is generated every single second. 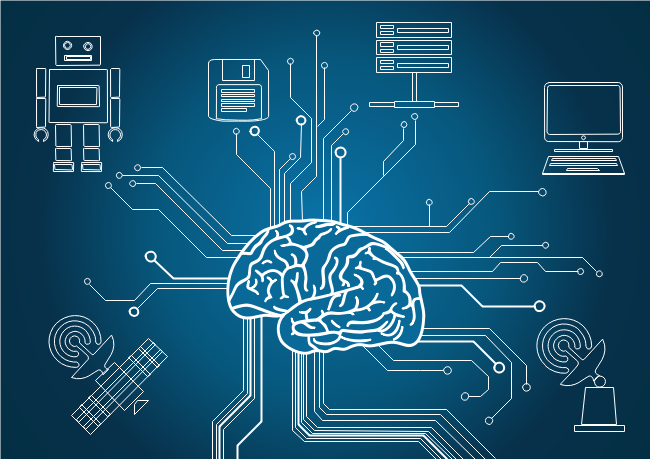 Therefore, creating eminent technology infographics become much more significant than ever before. Edraw infographic software is excellent in designing technology infographics. With a large number of premade elements, you are able to create technology easily and fast. Edraw Infographic Software is a well-received among infographic designers. It has straightforward interface, abundant stencils and hundreds of templates. It is easy to learn as the interface is quite similar to Microsoft Office. You can easily handle it as long as you know how to use Word. 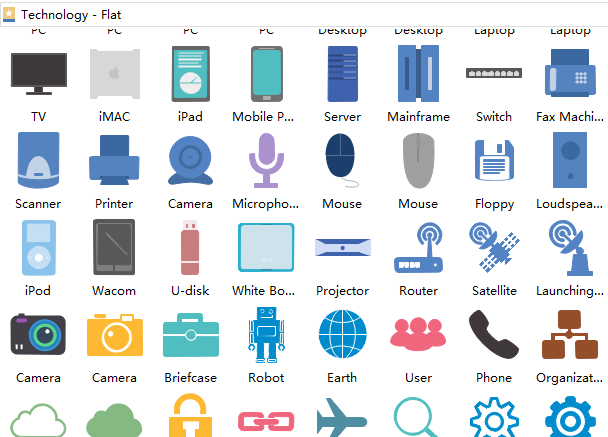 It provides a large amount of technology symbols in the predefined ibraries. Besides, many technology templates are included in the software for your quick start. In this way, you can design awesome technology infographics within minutes. Furthermore, it offers several saving formats such as JPG, PDF, PS, EPS, Office, Html, SVG, etc. Download this easy infographic maker to design your technology infographics right now! Within the program, there are plenty of infographic shapes such as 2D block, icons, arrows, infographic charts, map and technology-related elements. All these symbols can be modified. You can change the fill, line, shadow, dimension, rotation and style with easy clicks. All these clip arts and symbols in the software can be modified to fit your requirement. You are allowed to change the color, style, dimension, fill, line, shadow and you can also group or ungroup them. 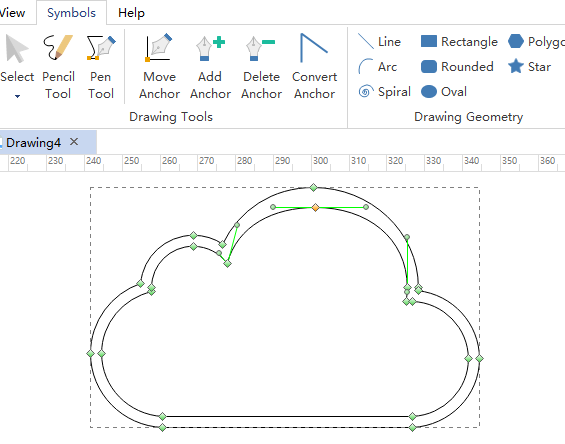 With the Drawing Tools and Drawing Geometry, you can easily draw any symbol you like. 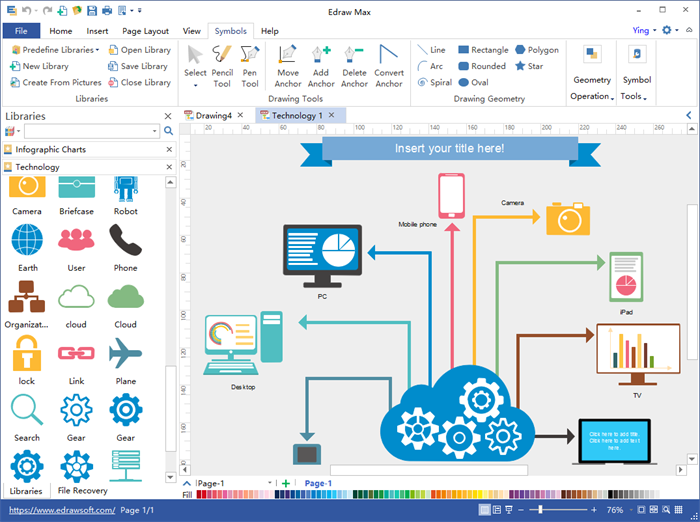 Edraw infographic maker has many well-designed technology infographics templates and examples for you to get a quick start. Besides technology infographics, Edraw also has other type of infographics such as architecture, business, education, environment, food, medical, music, tourism, etc. Whatever infographics you are going to make, it always prepares all you need. Try this splendid user-friendly software. You will be glad at its favorable price, powerful function and considerate service.